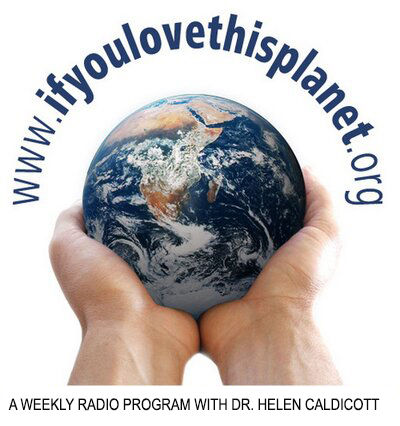 If You Love This Planet - Helen Caldicott, M.D. 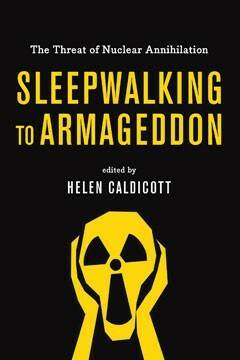 From the leader and spokeswoman of the antinuclear movement comes a revised and updated edition of this groundbreaking, widely acclaimed classic. 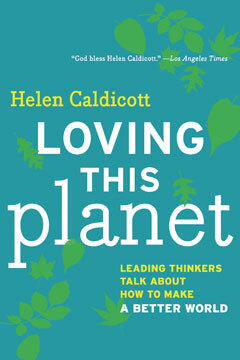 Exploring dangerous global trends such as ozone depletion, global warming, toxic pollution, food contamination, and deforestation, Helen Caldicott presents a picture of our world and the forces that threaten its existence. 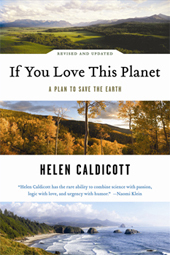 As always, she gives a prescription for a cure and cause for hope, rallying readers to action with the contention that our fight for the planet will draw its strength from love for the Earth itself. 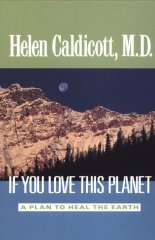 Caldicott, a physician by training, also gives us a prescription for cure – and a cause for hope. We must learn energy efficiency, we must organize politically (voting, she suggests, should be compulsory), and we must hold corporations and governments accountable for their actions. Above all, she says, our fight for the planet will draw its greatest strength from a love for the Earth itself.